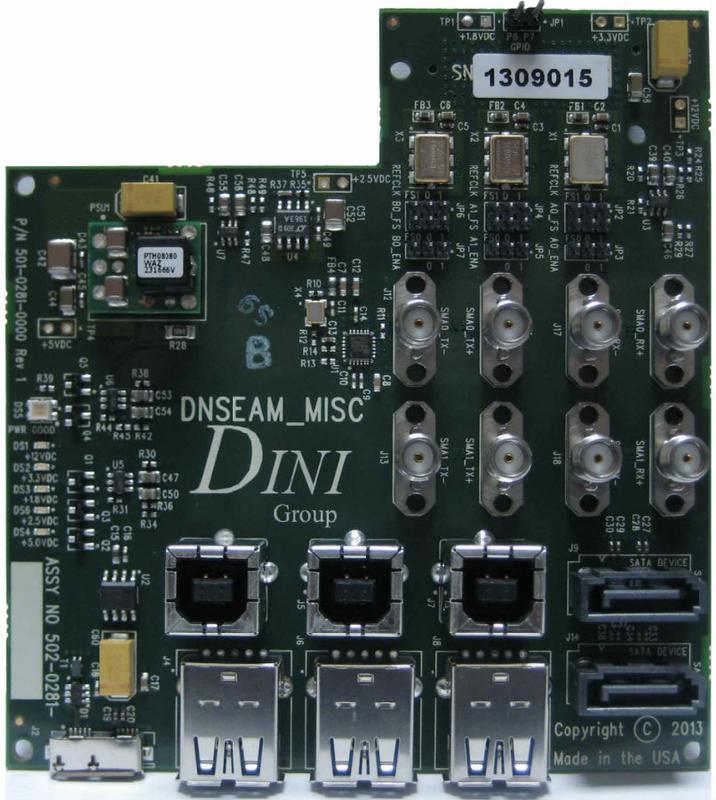 The DNSEAM_MISC is an expansion card that adds four separate USB3.0 channels to any GTX expansion slot. In addition, two channels of GTX are connected to SMAs and two GTX channels are connected to SATA III. The high speed ‘3.0’ part of USB uses Xilinx GTX channels. To comply with the USB specification, USB2.0 is required also. Since Xilinx FPGAs do not contain a Phy capable of USB2.0, a separate SMSC USB3317 chip is installed for one of the USB3.0 channels. The other three USB2.0 links must be cabled in from a separate expansion card. 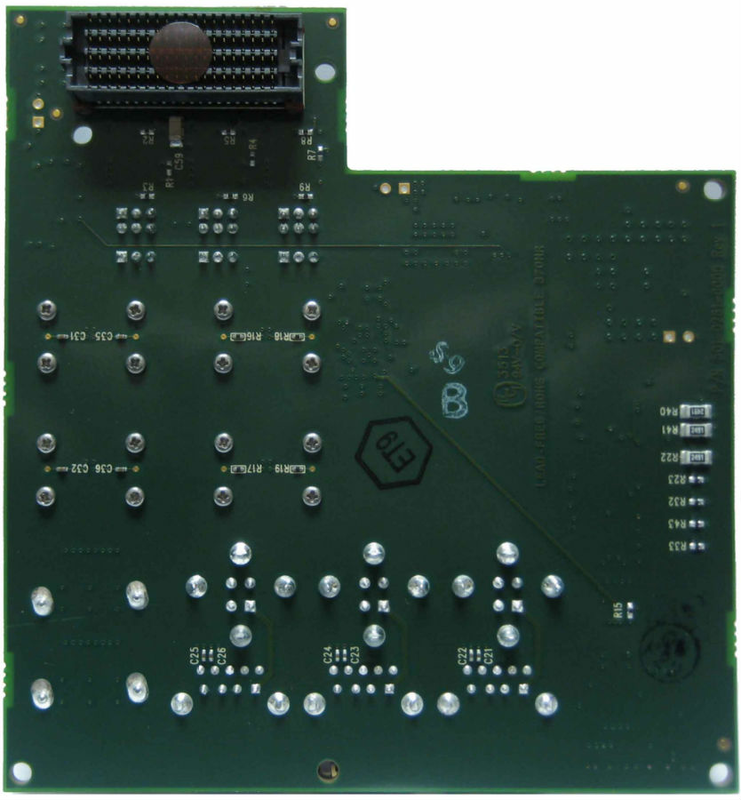 The DINAR1 expansion cards DINAR1_SOC or DINAR1_USB2_GPIO_SOC can be used to provide USB2.0 from the same FPGA that drives the USB3.0 ports. Two sets of 4 SMA connectors enable 2 channels of GTX for any purpose. In addition, two SATA connectors provide an addition 2 channels of GTX.